Having apparently applied the lessons of successfully trawling singles bars to the world of television programming, Starz has once again bet that audiences respond to a network with confidence by renewing a show before its current season has even aired. 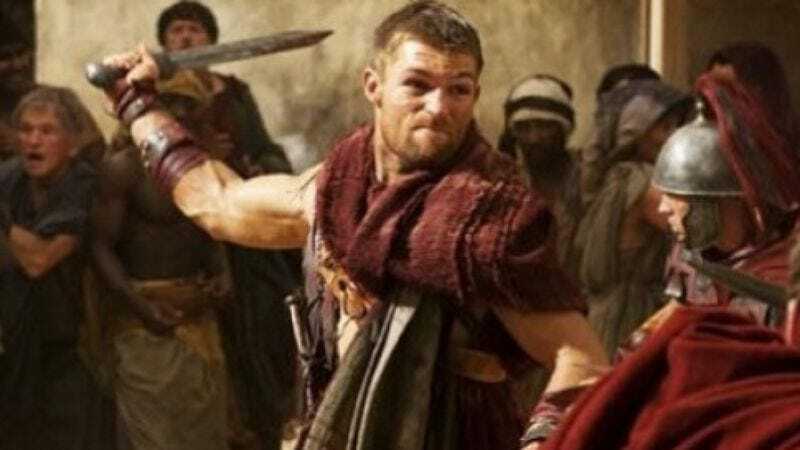 Just weeks after declaring that you’re gonna love Boss at least two times, Starz swaggered in and made a similar move on Spartacus—which is also a vote of faith in new star Liam McIntyre, who took over the role for the late Andy Whitfield. The network actually has a history of making early commitments to Spartacus, having picked it up a second season before Blood And Sand even debuted; unfortunately, those plans became complicated when Whitfield was diagnosed with non-Hodgkin’s lymphoma. McIntyre’s debut season as Whitfield’s replacement, Spartacus: Vengeance, kicks off in January, with the third season presumably arriving in 2013, barring any further difficulties. And as with the renewal of Boss, the renewal also confirms that Spartacus will make it out of any scrapes he encounters this season. “Suspense is overrated,” Starz is saying, basically.